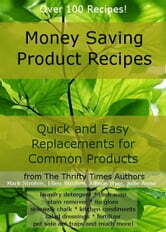 Money Saving Product Recipes has over 100 easy homemade recipes to help you save money by replacing common products. There are over 15 recipes to replace laundry room products and a complete stain remover guide. You will find more than 10 recipes to help you clean up in the kitchen. Replace 20 products in your bathroom with these easy recipes. Fourteen recipes will help you replace items you use with your children. More than 30 kitchen pantry recipes will help you replace more expensive items for cooking and baking. Save money with the 18 products for your garage and outside. 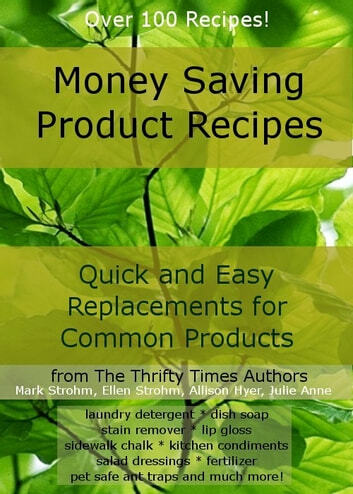 The Money Saving Product Recipe book will help you save money all around your house with easy to follow, tested recipes.